I love sharing stories. Those who have hung out with me in my younger and drinking days knew I would share long and crazy stories to anyone who would be patient enough to sit and listen at the party. 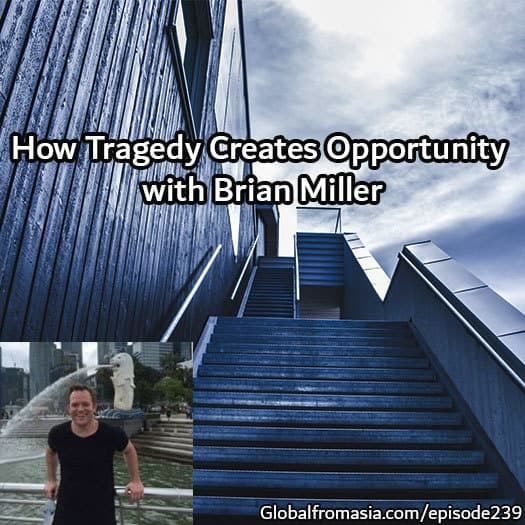 Today, it isn’t my story – it is my friend Brian Miller’s story. Learn Chinese, work for the Chinese government for 5 years, doing manufacturing and import / export to the US. My friends laughed at me because they said I’d probably only really be able to teach English there. Made a huge bet on China in 2009 and it turned out I was right. Flew to Beijing, thought it would be like Taipei and it wasn’t at all, polluted, tons of people, and it was something way different than I expected. Study every morning, work for free in the afternoon, and spend every night writing Chinese characters. I realized a year or two into it that this is my moment to learn all necessary skill to help people manufacture in China. I left and as FBA generated some more cash I used that money to start a sourcing company. Sign contract with a large dropshipper, with same commission deal and start working on their project for months with essentially no income. Successful e-com company with 20 staff and were 7 figure business looking for new suppliers, and newly developed product to add to their product line. I trusted him we set up the fulfillment center for 3-4 months, 2 weeks before we were ready to go live he walked away from the contract. I had a full functioning warehouse in China with no customers, and 0 shipments. I knew what e-commerce companies wanted/needed and instead of shutting it down that it would be way more advantageous to create a service for FBA and e-commerce sellers to manage their global shipments. Reach out to everyone friends, family, and basically anyone I had an email address for. Now we have built software to run the business and have many customers that we serve by shipping to FBA or for their own websites. Thank you Brian. I love it when we just let it all hang out. Why do we need to stress by making things look easier than they are on the internet. Let us show the battle scars and encourage others to get into the arena of business and do it! But if you think it will be easy – stay at home. Thanks for listening, cheers.